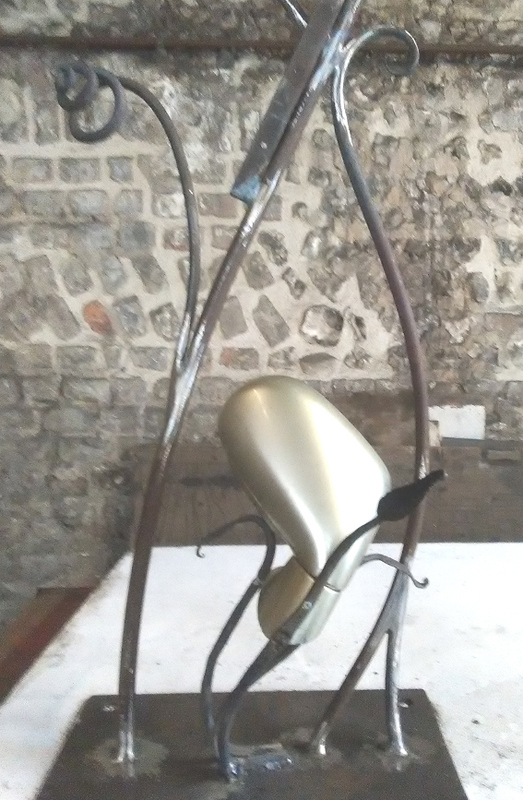 This is what I am working on at the moment - A Honda Arch. 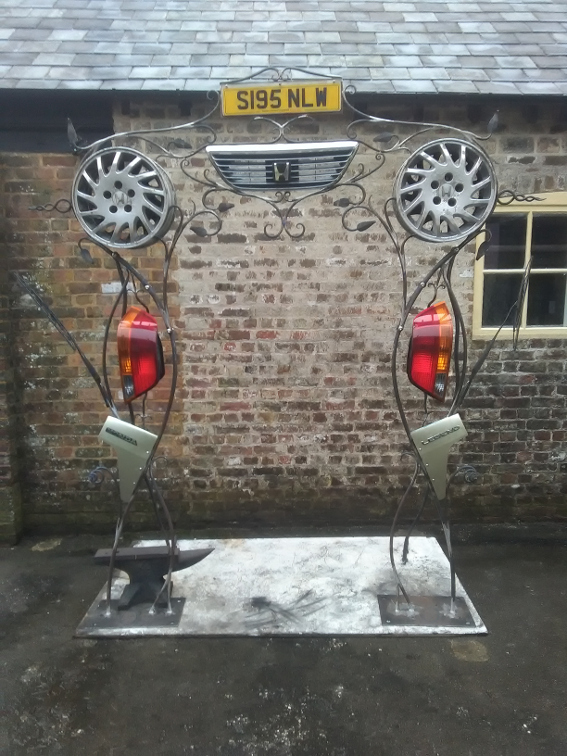 A lady came in with a car 3 months ago and asked if I could make a sculpture out of it, in memory of her Husband Maurice [because he loved the car and engineering]. I took the Honda Legend apart and played around with the parts and decided that an Arch would look good with the parts of the car intwined with decorative, branchy metalwork, I then drew the design for the client and she gave me the go ahead. This was a very open and creative commission, which I enjoyed very much and I hope Lesley does to when it's in her garden. The Honda Arch before painting. Parts include the registration, grill, alloy wheels, windscreen wipers, rear lights, Honda and Legend signs and also mirrors, which are shown below but not above.